Let’s celebrate: US Congress grants new exemption for the Delta Queen! This is the moment we all were waiting for: On November 27th, 2018, US Congress has granted a new exemption to allow the historic Delta Queen to return to the rivers as a cruise ship. According to Cornel Martin, President and CEO of the Delta Queen Steamboat Company, the Delta Queen is projected to return to service in 2020. For us here on Save-the-Delta-Queen.org this is the day when we can say: “mission completed“. We’ll have important updates here in the future as well, but you might want to follow the progress on bringing the Delta Queen back to the rivers on the Facebook page of the Delta Queen Steamboat Company or on their website. We hope to see you on the rivers again, very soon! A personal note: You might have recognized that the picture of the Delta Queen in the header of this website always has been black-and-white. Well, we’ve changes this back to a color picture to celebrate this great day. The Delta Queen is not back on the rivers yet and there is a lot of work to do for the Delta Queen Steamboat Company. But the most important step is done: The future of the Delta Queen is not anymore in the hands of politics (though we’re very thankful to the politicians who supported our cause over the last couple of years and eventually made this happen in the Senate and in the House). She’s now in the hands of knowledgeable experts in technology, history, hotel operations, marketing and sales for a bright future to come. 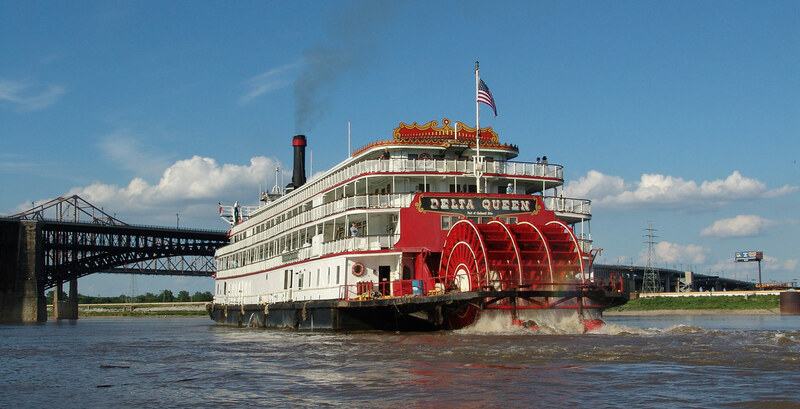 Comments Off on Let’s celebrate: US Congress grants new exemption for the Delta Queen!